“Our investigation has revealed no evidence of systematic political bias in the selection or prominence of stories included in the Trending Topics feature,” Colin Stretch, Facebook general counsel, said in a letter responding to a query from John Thune, Republican US Senator, who chairs the commerce committee. Facebook was unable to substantiate any specific accusations of bias made in media reports, which relied on anonymous sources, Mr Stretch said in the letter, a copy of which was made available by the leading social network. “At the same time, as you would expect with an inquiry of this nature, our investigation could not exclude the possibility of isolated improper actions or unintentional bias in the implementation of our guidelines or policies,” said Mr Stretch. Facebook updated terminology in its guidelines to be clearer and gave reviewers refresher training that emphasised content decisions may not be based on politics or ideology, the letter said. Headlines from an exclusive handful of media outlets like the New York Times will no longer be used to define newsworthiness of trends. The company has also renamed two key tools to make it clear what they actually do: the “blacklist” tool which is used to remove certain topics from the Trending list will be called “revisit”. 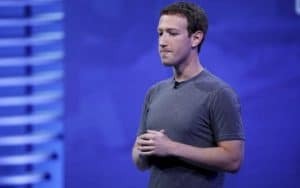 Mark Zuckerberg, Facebook founder, said last week that conservatives were an important part of the social network after a meeting aimed at defusing concerns it was politically biased. “We’ve built Facebook to be a platform for all ideas,” he said on his Facebook page after a meeting at the company’s California headquarters to discuss the allegations about anti-conservative bias. Mr Zuckerberg called the meeting after technology news outlet Gizmodo a week earlier reported allegations that Facebook was deliberately omitting articles with conservative viewpoints from the sidebar that lists popular stories.